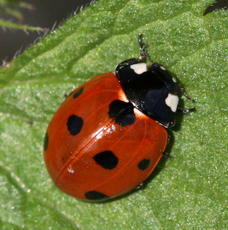 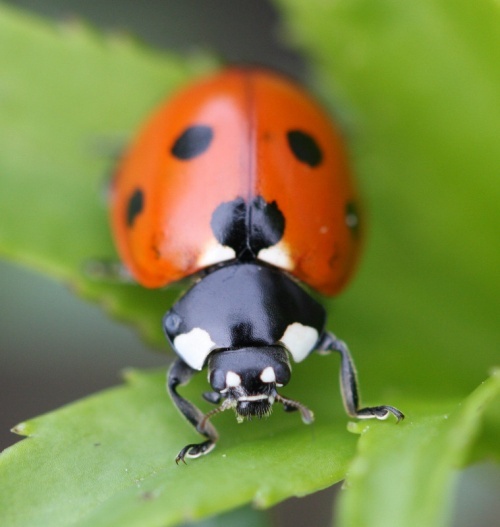 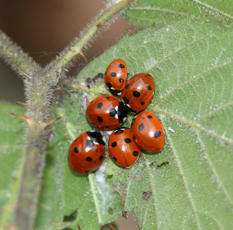 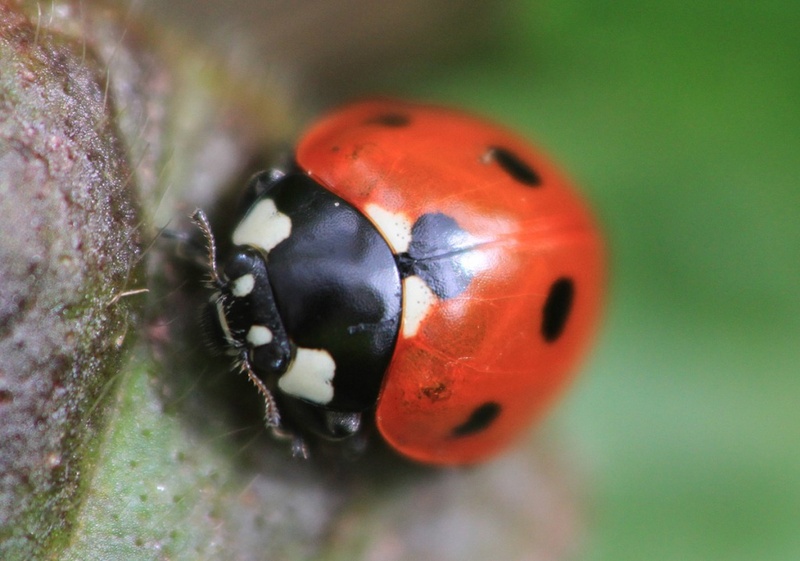 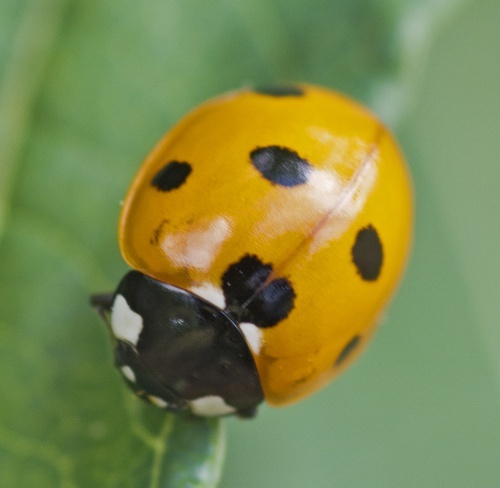 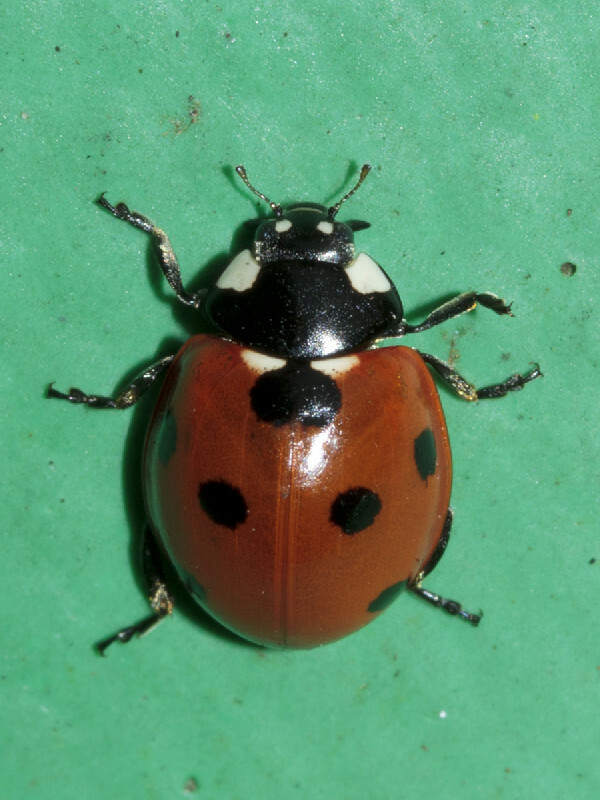 The very common Seven Spot Ladybird is usually red, occasionally yellow. Its seven black spots are arranged three on each wing case or elytron and one at the back sitting across the two elytra. 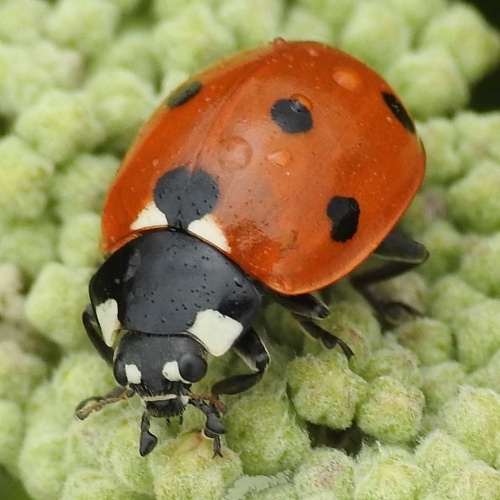 Active from March until October. 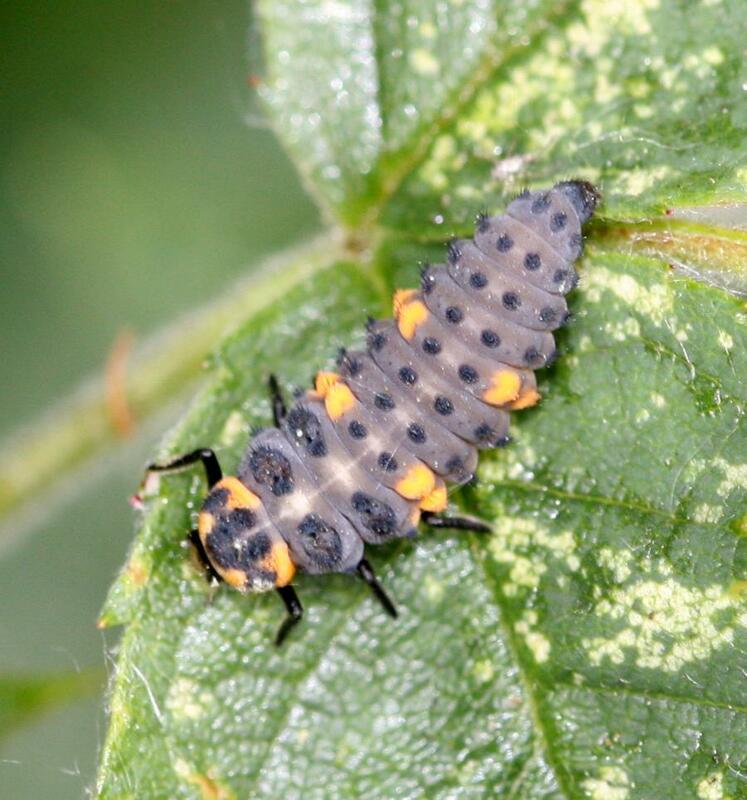 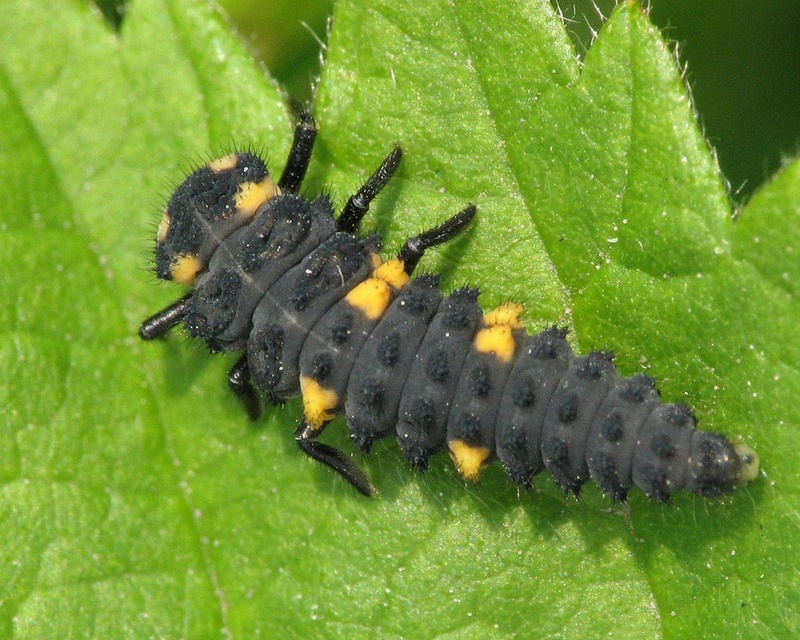 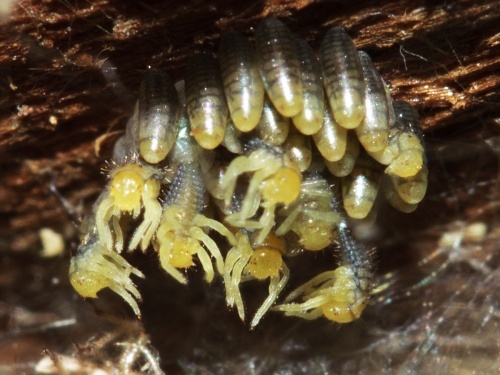 Both larvae and adults feed on aphids which helps their image as a gardener's friend. 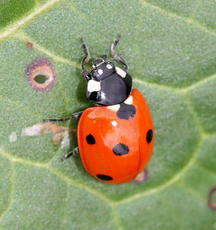 They hibernate during winter and can be found in cracks and crevices, often in outbuildings and around window frames. Large numbers often migrate here from the Continent in warm years. 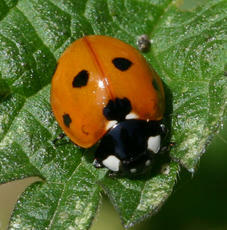 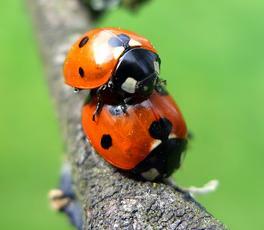 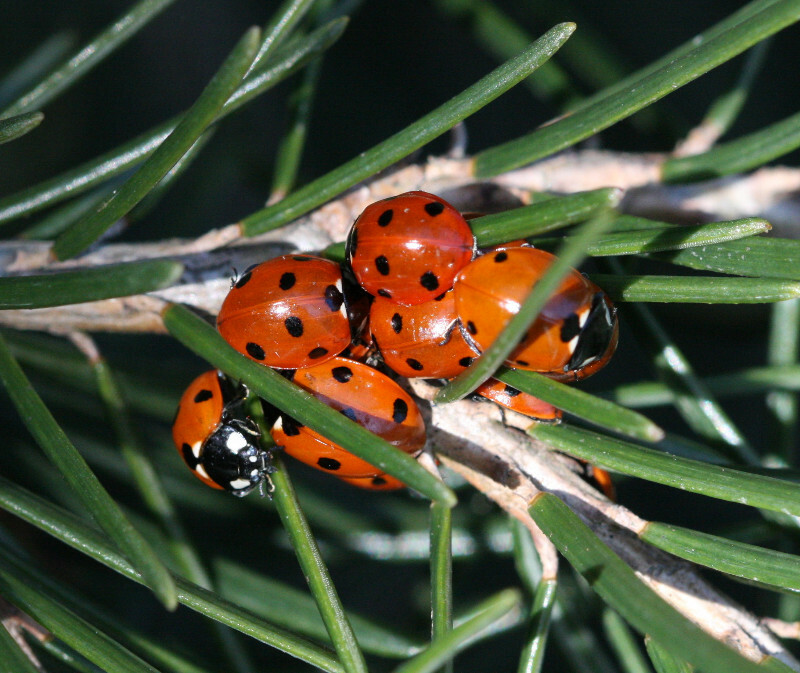 The most common of Britain's ladybirds. Very common in Leicestershire and Rutland. 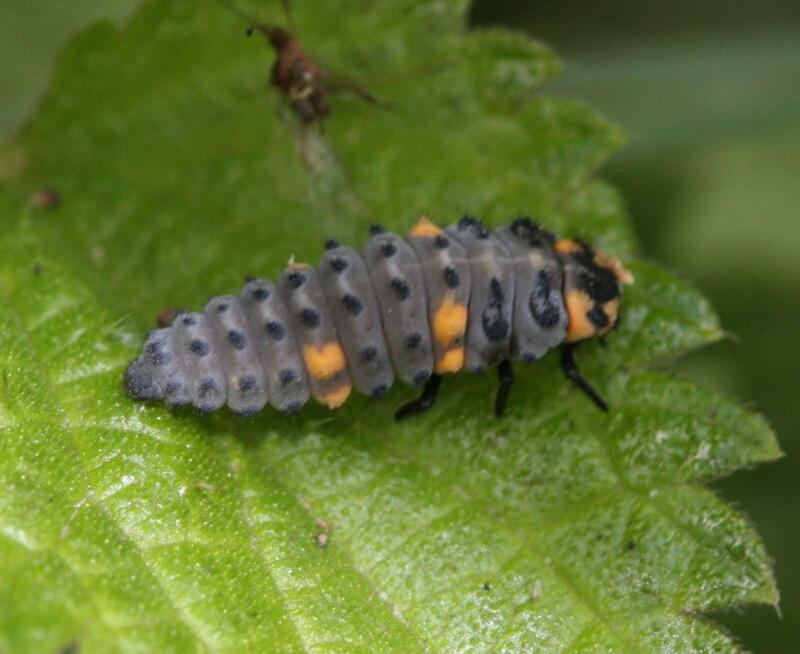 There were approximately 1100 VC55 records for this species up to March 2015.